The news story prompted an interesting response on Capitol Hill, a response that crossed party and normal conservative-liberal divides. 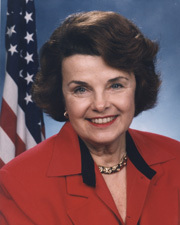 Senators Dianne Feinstein (D-CA) and Lindsey Graham (R-SC) vigorously defended the program. But their response seemed to be in the minority. James Sensenbrenner (R-Wisconsin) and Sen. Barabara Mikulski (D-Maryland) as well as others raised doubts about the encroachment on people's civil liberties and whether the program had exceeded congressional authority. Perhaps the most outspoken was Sen. Rand Paul (R-Kentucky) who called the program "an astounding assault on the Constitution." 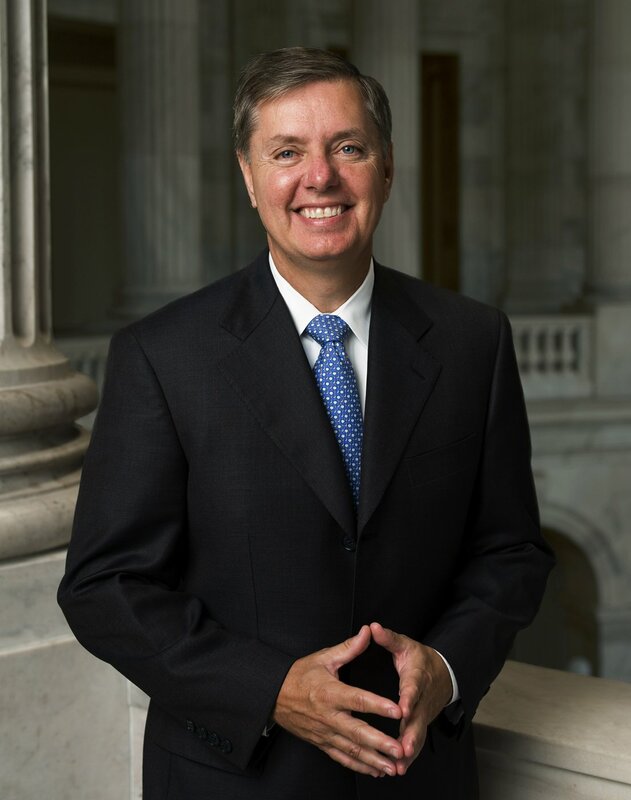 Graham's response to Rand's declaration? "I see the threat to the average American, radical Islam coming to our backyard trying to destroy our way of life. He sees the threat (from) the government that's trying to stop the attack. 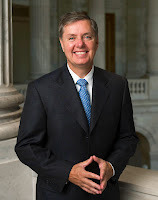 I'm more threatened by the radical Islamists than I am the government agencies who are trying to protect us..."
Graham may now be in a minority in his own party when it comes to that view. Republican voters seem to be increasingly concerned about eroding civil liberties even more so than Democrats these days. Such concern fits into a natural distrust of government that is inherent in conservative political philosophy. That distrust of government is one of the trends that fueled the rise of theTea Party. This sort of issue may well propel Rand Paul to the front of the pack should he run for the Republican nomination in 2016. While some Republicans claim that his more isolationist stance on foreign policy issues will doom his chances, I don't buy it. First, very few voters vote on foreign policy. Second, in addition to become more supportive of civil liberties, Republicans have become increasingly isolationist. 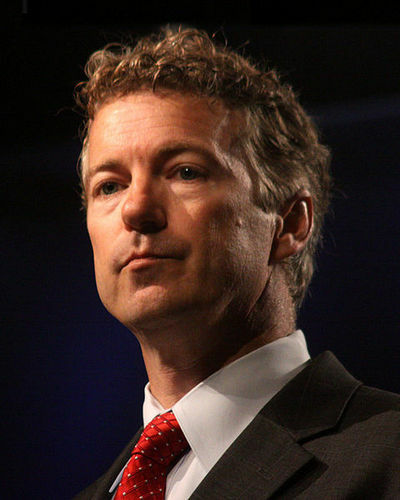 Sen. Rand Paul position on civil liberties and foreign policy is not only becoming popular in the Republican Party, its popular in the general electorate. The link with Paul's quote seems to be misdirected. The quote is in the Miami Herald article I linked to. The article does appear to be changed...shortened considerably. But the Rand Paul quote is still in there. I have long been an avid reader of the Guardian. James Clapper, the US director of national intelligence, who called the Guardian's revelations 'reprehensible'. Glenn Greenwald of the Guardian has been in particular a harsh critic of Obama, and the Obama worshiping cult in the Mega-Media. "Ever since the Nixon administration broke into the office of Daniel Ellsberg's psychoanalyst's office, the tactic of the US government has been to attack and demonize whistleblowers as a means of distracting attention from their own exposed wrongdoing and destroying the credibility of the messenger so that everyone tunes out the message. That attempt will undoubtedly be made here." The two most prominent whistle blowers - Julian Assange and Bradley Manning have been vilified. The full weight of State Security complex has been brought to bear against them, short of a drone attack. Believe me when I say a Liberal like myself is every bit as outraged by the excesses of the Obama Regime as anyone from the Right. A further Irony at work here is the US accusing China of state sponsored covert cyber spying while at the same time the US spies on it's own citizens. What is unfortunate is that Americans have bought into this Surveillance State mentality through the constant scare tactics of eminent terrorism. This level of intrusion is nothing less than perversion; lurid acts of pornographic statism. The thing that pisses me off is that guns and lack of health care kills more Americans than terrorism does, yet Republicans don't want to do a damn thing about that. Let's not forget these are Bush policies, and Congress was well aware of it. Brad, Obama has taken these policies to a new level. And, no, members of Congress did not know about this program to collect information on every phone call made by Americans into database. Those members of Congress on intelligence oversight committees knew what was going on, but the rest of the Congress did not. How do you know he's taken it to a new level? At least you conceded my first point. Brad: Why stop there? It was Bush who sabotaged Skylab in the late 70's, not to mention gauche poinsettia arrangements on the holiday set of the Today Show. After reading this post, I am impressed about this blog.i realize you can only post as Update Topics as you have content to post about but i just wanted to say that this is among my favorite blogs on the internet.